Driving a compact is a great way to enjoy efficient performance and nimble handling, and with the Honda Fit you don’t need to sacrifice space in that pursuit. With a highly flexible cabin, the Fit is a great new Honda vehicle for Ridgeland drivers who want flexibility without having to jump up to a larger crossover or SUV. The secret to the Honda Fit’s flexibility is its unique seating, which allows you to accommodate many types of items without giving up passenger space unnecessarily. In addition to a split fold-flat rear seat, the seats can also fold up to fit tall items in the rear row. The passenger seat can also fold back to give you plenty of room to stretch out when you have time to kill or need a break. Having the versatility you need to adapt to your busy lifestyle is important, and we’re here to help you get into the flexible vehicle you need here at Patty Peck Honda. Our latest Honda Fit specials and lease offers can help Ridgeland shoppers get behind the wheel. If the Honda Fit has caught your eye, our team is here to help! 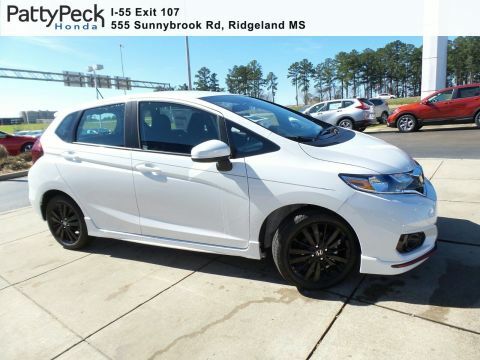 For more information, or to schedule a test drive in the Honda Fit, don’t hesitate to call (601) 957-3400 to contact our Honda dealership serving Jackson, Madison, Brandon, and Flowood today.